Ghosts and gags collide in a witches? brew of classic laughs with comic legend Bob Hope. Larry Lawrence, sought in connection with a murder he didnt commit, eludes New York police by hiding in a steamer trunk bound for Cuba. The trunks owner, pretty Mary Carter (Paulette Goddard), is sailing to take possession of a haunted castle, but sensing that she may be in danger, Larry and his valet Alex precede her to the island, which is inhabited by a zombie, and perhaps even a flesh-and-blood fiend. 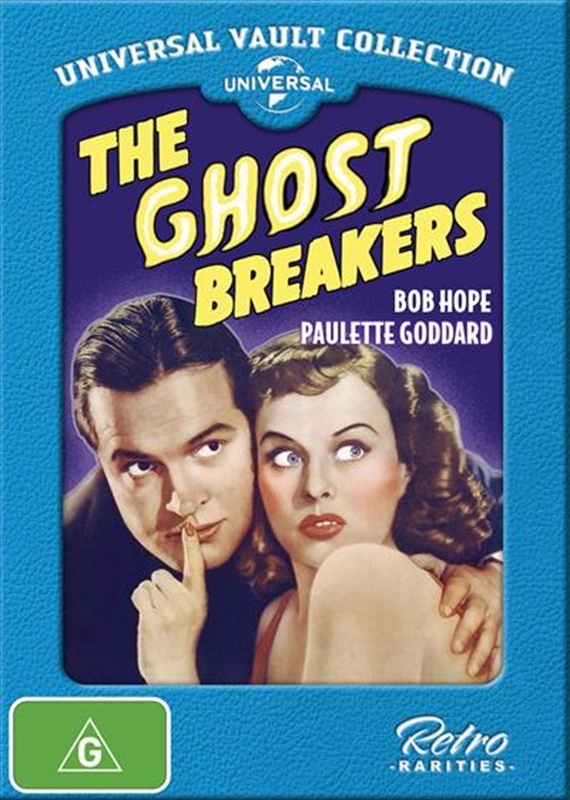 THE GHOSTBREAKERS was the second paring of Hope and Goddard and came from an era where horror-comedy was a big box office draw. Join them for a classic tale filled with earthly and un-earthly foes as they try to keep from ending up as a ghosts themselves!